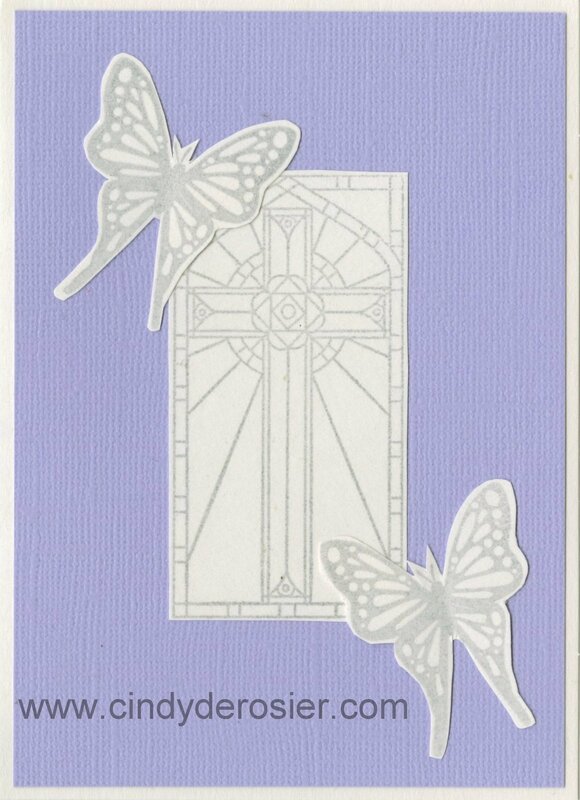 I made another sympathy card recently, my least favorite kind of card. This is for a dear friend who lost her brother. 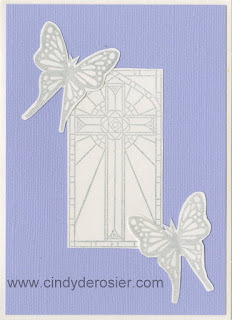 I made two butterflies fluttering by the cross to symbolize two siblings who will meet again someday. It seems appropriate to share this today. While he was not a veteran, he did serve the community for many years as a police officer in Oakland. I'm so grateful for all the soldiers, sailors, airmen, corpsmen and civilians who risk their lives to protect mine. Happy Veterans Day. This is beautiful! I am sure she will really appreciate this! I love how simple yet gorgeous this is!!! The symbolism of the 2 butterflies is beautiful!